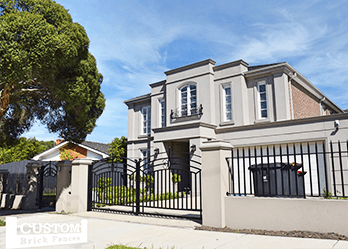 Looking for top-quality, custom-made fencing in Burwood? Custom Brick Fences are the ones to call! With Custom Brick Fences, you can achieve quality fencing, gates, and automated gating systems. 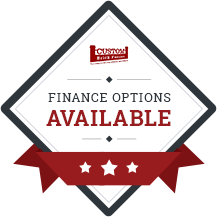 – Whatever you desire for your home, we can help! We have fifteen-years experience in the industry and, during that time, have built a reputation for ourselves as the best in the market due to our eye for detail and care for our customers. 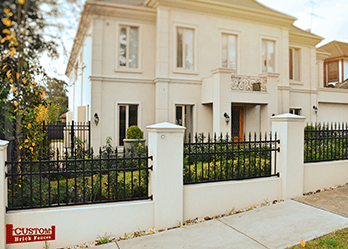 With our fencing for Burwood, your products are made with Australian materials and manufactured just down the road at in our warehouse. This is the only way to ensure quality. We want to make sure that the fences we craft with pride, are made and installed correctly, so that our customers can enjoy a good-looking, highly functional fence for years to come. For fencing and gates Burwood customers know who to contact. The truth is, when you call on Custom Brick Fencing, you’re not just getting a gate or fence that is ‘one-size-fits-all’. Our products are made according to your specifications, after careful measuring of your home. Looking for automated sliding gates? Many of our customers opt for this, as the sliding gate will slide away conveniently at the push of a button. On those rainy days, you don’t even have to get out of the car! And the sliding gate will shut behind you. 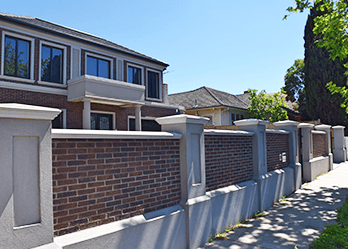 For automated sliding and swing gates, get the experts – Custom Brick Fences.